For the past week I have been playing a lot on my PS4, one of the reasons is my sweet wife bought me the game Evil Within 2 for Christmas. I played number 1 and loved it so had to play this one. This is not the reason I’m writing this article though. The reason is that I was sitting there playing and thought it would be nice to be able to tell my PS4 what to do. Since my kids don’t listen to me why not see if my console will? 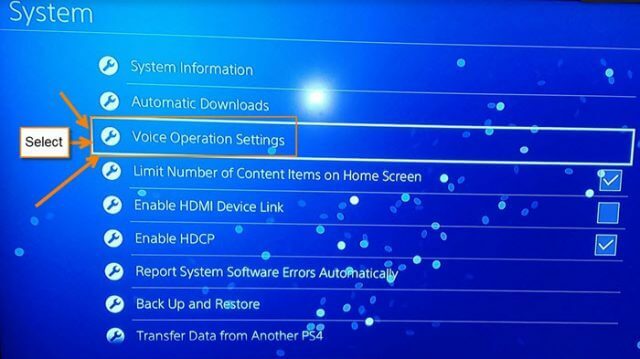 With us all being able to talk to Alexa or Google Home nowadays, can my PS4 hear me? Surprisingly, I did some research and found out I can tell it what to do– within reason. Since now I know how to do it, I wanted to share this knowledge with all of you. As always, get ready to learn. You will need to have a compatible microphone to hook up to your controller. If your console can’t hear you, then there is no point to turn on voice. You can also use your PS4 camera since it has a microphone on it. 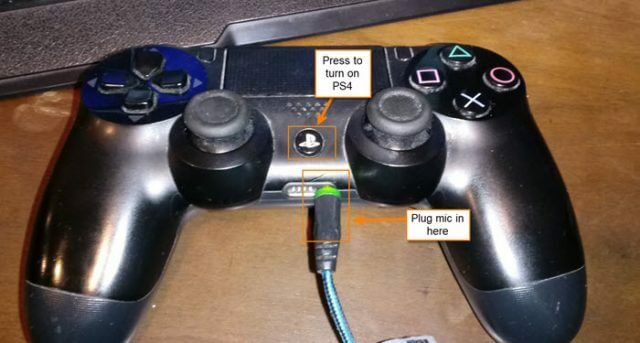 Step 1: You will want to connect the microphone to your controller. This is what I’m using to set it up. 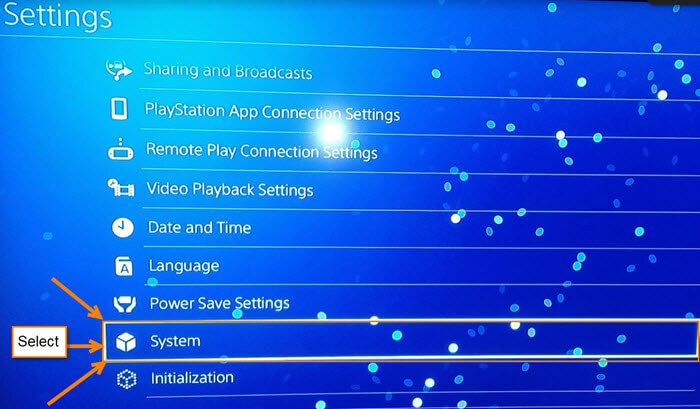 Now turn on the PS4, either by pressing the PS button on the controller, or with the power button on the console. Step 2: Once you are on the home screen, move the left stick up to have the top menu appear. Select the Settings icon that looks like a suitcase or toolbox on the far right. Step 3: On the settings screen you will need to scroll down until you see the System option. Select it. Step 4: On the System screen select the Voice Operation Settings option. 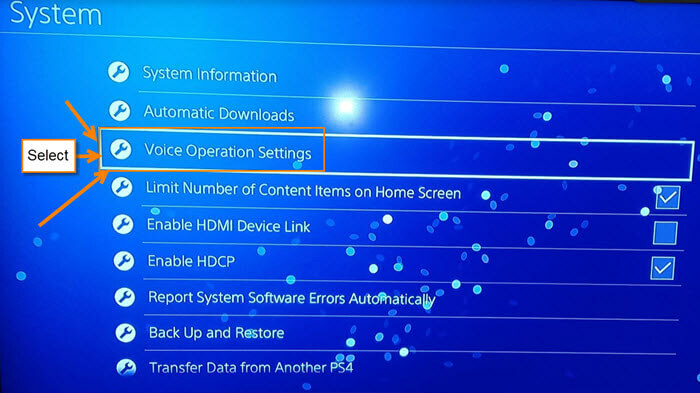 Step 5: Now that we are on the Voice Operation Settings screen all you need to do is select the box to the right of Operate PS4 with Voice. After checking the box, you are all set. 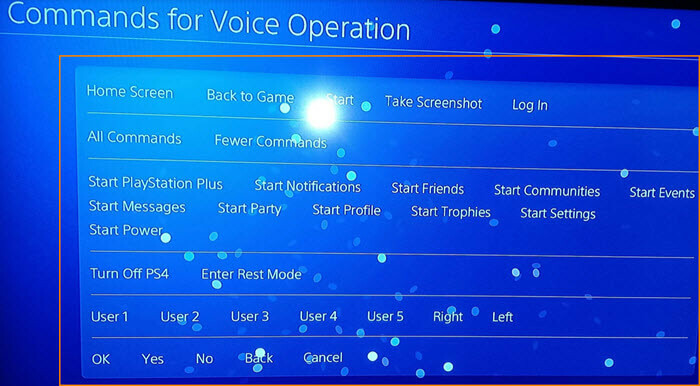 I thought it would be a good idea to share the Commands for Voice Operation screen with you. These are the voice commands you can use with the PS4. 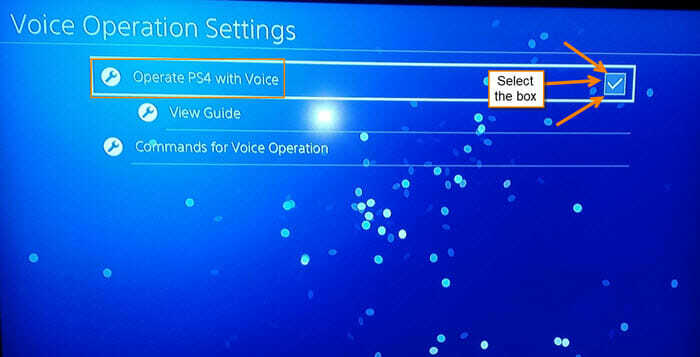 Make sure, before using a command, to say PlayStation to bring up the voice command bar on the TV. If the bar is not there, then you can’t use the commands. Also, check your microphone volume settings because if they are too loud, it will not take the commands. Now that you have this set up, it is time tell your PS4 what to do. Prev:Windows 10 Automatic Updates Does It Again!